AFP Blackheath is a whole of market Mortgage Broker based in South East London. We have been arranging mortgages for 30 years and can provide advice face to face to customers in the local area or via telephone/internet which ever you prefer. Whether you are looking to re-mortgage, purchase a new property or a Buy to Let mortgage contact AFP Blackheath. We are based locally in Shooters Hill and are advising clients across Blackheath, Greenwich, Charlton, Eltham, Bromley, Orpington, South East London and North West Kent. We will need all your financial information before we can research the market. 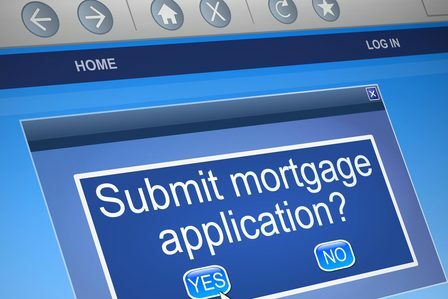 Then we use our systems to shortlist lenders who will consider your application. Finally we often need to ‘get on the phone’ to the lenders to make sure your application will be successful. So whether you are a first time buyer, home mover, re-mortgaging, buy to let or let to buy just contact us now. In most circumstances we do not charge a fee and are remunerated by the lenders with whom we do business. AFP Blackheath have access to many schemes not available on the High Street, often on exclusive terms. Whether you are a first time buyer, moving home, purchasing a second property or looking to purchase or refinance an investment property or seeking to re-mortgage your home we will help you secure the most competitive mortgage product for your personal circumstances. At AFP Blackheath we deal with some of the country’s top insurers and will take the time & trouble to discuss what you are looking to achieve from your protection arrangements as well as recommending the most cost effective and secure solutions we possibly can. Peter has been a reliable and reassuring source of information during the purchase of our house. As first time buyers, we were apprehensive about the process but Peter provided a friendly face and was able to easily explain things in a way that made sense to us. He has always been responsive to calls or emails (when others in the process have not) and willing to travel to discuss face to face when sensible. I would thoroughly recommend Peter to anyone who is looking for a mortgage and look forward to working with him again." with a great interest rate that ticked all our boxes. We were first time buyers so we had lots of questions, but Peter answered them in a very clear and friendly manner. He always replied to emails and was available to talk on the phone when needed. We had made some costly mistakes with previous properties we were looking to buy due to bad advice from other brokers, but from my initial conversation with Peter I could tell he knew what he was talking about and was aware of lesser-known issues surrounding mortgages that other brokers hadn't even contemplated. He knows his onions - I would recommend him wholeheartedly. Looking for a buy to let mortgage but I didn't feel I was getting a choice from the high street banks. Peter's number was given to me by a family member so I gave him a call. Firstly he total explained my options making sure I understood every step of the way. Then he presented me many deals from many lenders and guided me towards the correct product for me. Could not be happier with my but to let mortgage Peter arranged for me. For the last 8 years it has taken care of its self. I am even thinking of getting a third property and Peter will be called upon again. I could not be happier. He explains calmly and professionally. I feel he will only sell you a product that is right for you. It was a pleasure meeting Peter. In regards to finding a mortgage, he was very honest, took the time to explain things and most of all was very knowledgeable. Highly recommended. Looking to re-mortgage and get a better interest rate. Advice on best mortgages, interest rates and how much to borrow. Great new mortgage with lower interest rate which has lowered my outgoings. Also manage to borrow more to pay off loans and credit cards. He was brilliant. Recently separated from my husband and only two months into a new job, I thought remortgaging my house would be impossible. My existing mortgage repayments were too high for me to manage on my own, but no high street bank would even consider me with less than three months’ payslips. I found Peter’s details on ‘Vouched for’ and decided to give him a call. Extremely knowledgeable and experienced, he couldn’t have been more helpful. He really took the time to understand my unique situation and helped to reassure me by talking through the various options. He visited my house and was always only a phone call away if ever I had a question. 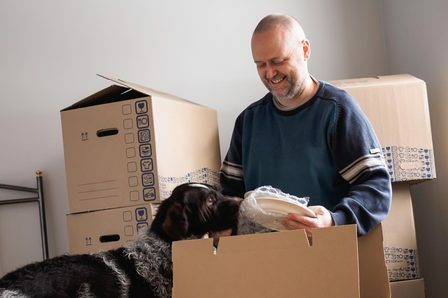 The outcome was a much more mortgage with much more affordable monthly repayments, which meant I was able to keep a home for my son and I. I can recommend Peter without any reservation; he is professional, reliable, dedicated and a truly fantastic guy. I can’t thank him enough! I have used Peter for mortgages/remortgages a number of times over the years as well as seeking financial advice when my circumstances may have changed. Peter has an incredible knowledge of the market and products available and despite me regularly giving him difficult scenario's, he always manages to find a product that fits my circumstances perfectly.I have recommended Peter to a number of my friends and acquaintances over the years and Peter is now highly regarded amongst this group and known for both his professionalism and "can do" attitude, I would have absolutely no hesitation in recommending Peter and he will be the first person I call when I need any kind of financial advice in the future. Peter was knowledgeable, professional and courteous from start to finish. He secured us a better deal than we imagined would be available and consistently went to the extra mile to make sure the process was as smooth and stress free as possible.